If you are an aspiring writer looking for ways you can express your creative juice and earn money at the same time, there are two sites worth trying out – eHow and Hubpages. While doing a search of certain topics, chances are you have already come across these two sites. Well, they certainly are among the most popular sites where one can find information just about every topic under the sun. 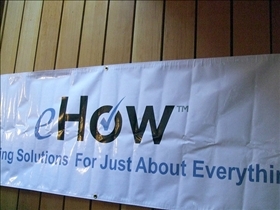 eHow has millions of “How To” articles and thousands of instructional videos in its database. The site is like a DIY guide wherein tips appear step by step, making it easier for anyone to keep track of the instructions. There are separate pages for articles and videos. Searching for articles is easy with the use of a search engine within the site itself, plus the fact that topics are categorized accordingly. eHow has an article writing template to ensure that your articles appear exactly in the eHow format. HubPages is an article sharing site where writers are called hubbers and articles are called hubs. The site has a search engine too, which allows you the option of searching for either a hub or a hubber. There millions of articles on this site categorized accordingly for easy browsing. The writing format here is different from that of eHow in the sense that articles come out in magazine-style writing form, not as step-by-step guides. While Hugpages articles come in text format, you can have the option to add videos to your post. Articles for eHow are generally shorter than Hubpages. Both eHow and Hubpages have experienced writers writing for the site, covering a wide range of topics, but with certain restrictions when it comes to other topics. Both sites have writing guidelines that are strictly to be followed before a particular article is allowed to be published. eHow has an attractive Writer’s Compensation Program where writers can earn a decent amount of money based on article popularity, quality of writing, and many other things. Payment is through Paypal, with payment threshold set at $10. 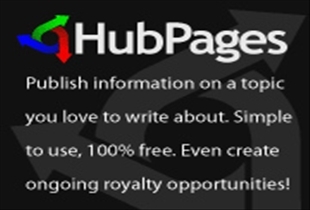 Hubpages also has a great compensation program for writers through ad revenues. It has partnered with Google and because of that, writers get 60% share on all ad revenues generated by Hubpages. Writers are paid via Paypal. In both instances, you would have to write more articles of good quality in order to earn streams of income. Features – eHow allows step-by-step instructions to come in the form of articles and videos, while the platform of Hubpages does not enable video posts. eHow is great for short articles. Content – both cover a wide range of topics literally from A-Z, but both have restrictions when it comes to certain topics. Compensation – eHow’s Writer’s Compensation Program enables writers to earn based on page views and quality of articles. HubPages, meanwhile, shares 60% of its ad revenues with Google. Payments in both cases are made through Paypal. Which is more user friendly website? I still make money from the ehow site but have always been looking for other sites similar with better income potential. I finally found one. This link HERE will allow you to check it out if you are interested too. It even gives you ten bucks deposited into your account for registering with them during their pre-launch campaign. Nothing to lose there and the same idea of writing articles for money. Hubpages does not pay you via paypal. Google adsense pays via check or direct deposit. If you sell something from ebay or amazon, then you get paid via paypal.